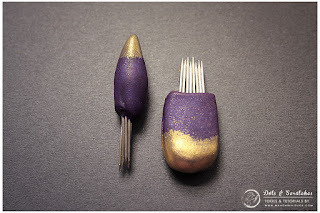 They are completely handmade and very simple tools for creating wood, moss, feather, grass, hair, fur and many other textures on Polymer Clay and other similar medium. Original idea came from Donna Greenberg and she used them to make coral and lava textures for her amazing bottles. These are completely handmade and very easy to do! 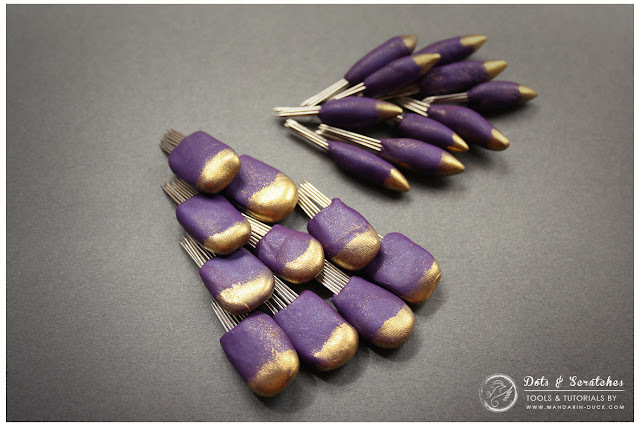 All you need is clay and tailoring needles. But if you are too busy or just can't be bothered, then you are welcome to buy a set!